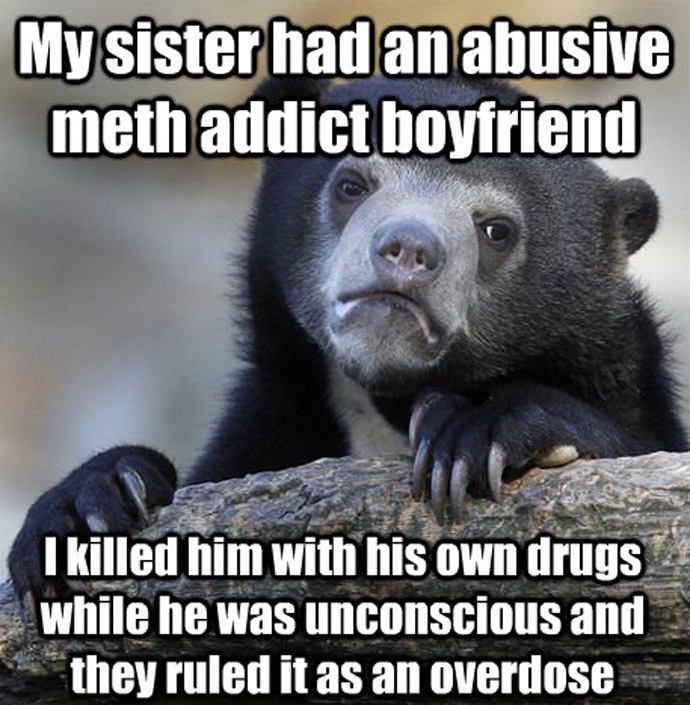 A Redditor (a user of the online message board, Reddit) was recently reported to the FBI for homicide after confessing to murdering his sister’s abusive “meth addict” boyfriend on the message board through the popular “Confession Bear” meme. So when a user going by Naratto posted the murder confession, Redditors took notice. Immediately after posting, users scanned his previous comments for identifying information, revealed who he was, and reported him to the FBI. 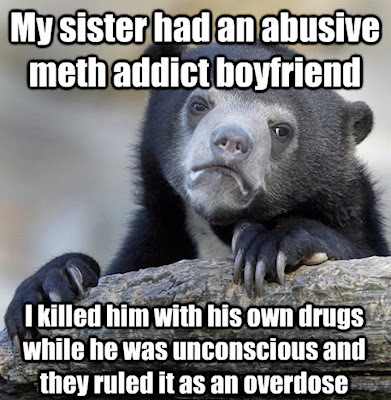 In the comment thread accompanying the image, Naratto claimed the meme was only “partially true”. He also deleted all of his previous comments. Unfortunately for him, his information was already out. Whether he’s a killer or not, it’s safe to say Naratto is not the sharpest tack in the box. But what could he have done differently? Well, not confessing to murder on the internet would have been a great start. Seriously. This is pretty much the dumbest thing I’ve ever heard. But what if you did want to confess? And what if you wanted to get away with it? Step One: Get a disposable account. Reddit allows for unlimited accounts and doesn’t require any identifying information to set one up. A lot of users keep disposables just in case they need to admit something embarrassing they’d rather not have associated with them. Pretty sure murder falls into that category. Step Two: Use a different computer. Yes, this might be overkill, but we’re talking about murder charges here. You can’t be too careful. Even if you aren’t traced online, there’s always the chance someone could find your illicit confession in your browser history or on your hard drive. Public libraries and cyber cafés are good options. Don’t be a schmuck and use your friend’s laptop. Step Three: Use a VPN. Even though usernames on Reddit are anonymous, Reddit keeps a record of your IP address when you log on. Once investigators have that, all it takes is a quick call to your ISP and you’re busted! But, if you turned on your handy VPN, your IP would be masked and replaced by a random address provided by the VPN server. Utterly untraceable. So there you have it. How to confess to murder and get away with it. Although, it’s probably best to avoid the whole murder thing in the first place. Maybe just call the police instead.